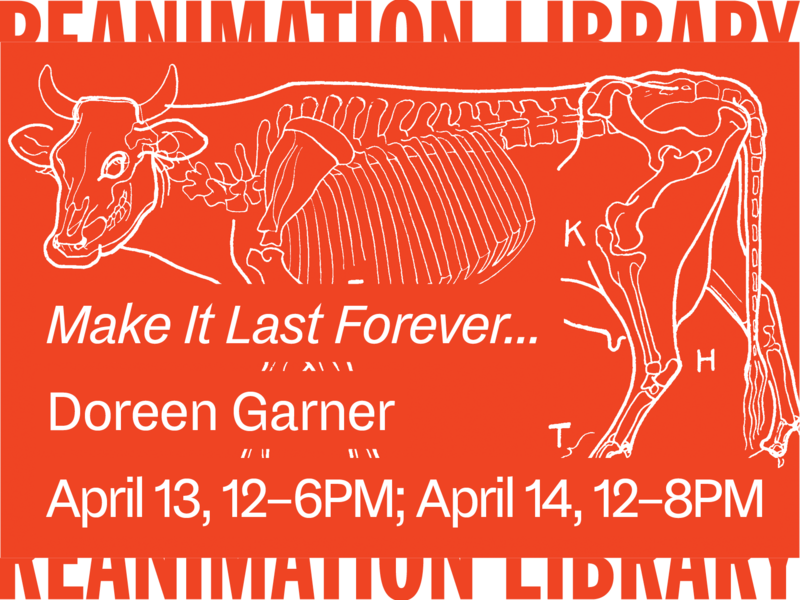 Transforming the Reanimation Library into a pop-up tattoo shop, Make It Last Forever… invites visitors to receive tattoos executed by artist Doreen Garner. All designs available were selected by Garner from the library’s collection. As the Reanimation Library preserves an abundance of near-obsolete publications for the intended purpose of creative activation and reuse, this program invites visitors to memorialize images, that are both culled and decontextualized from their former printed pages, via bodily inscription. Price: See registration form. Price points vary for each tattoo and can be paid CASH ONLY on the day of your tattoo. Please remember to tip as well. Doreen Garner (b.1986) is a Brooklyn-based artist born in Philadelphia, PA. Select exhibitions include “White Man on A Pedestal” Pioneer Works (2017) “Surrogate Skin: The Biology of Objects” MoCADA (2016), “Ether and Agony” Antenna Gallery NOLA (2016) “SHINY RED PUMPING” Vox Populi Gallery (2015), and “Something I Can Feel” at Volta Art Fair (2016). Garner has completed residencies at LMCC Workspace Program (2015) Skowhegan School of Painting and Sculpture (2014) Abrons Art Center (2015-16) Pioneerworks (2016) and GAPP Residency at the Toledo Museum of Art (2016). She holds a BFA in Glass from the Tyler School of Art at Temple University and an MFA in Glass at the Rhode Island School of Design and is a recipient of the Toby Devan Lewis award, Van Lier Fellowship award and a Franklin Furnace Grant. Currently Garner is an Artist in Residence at ISCP practicing as a sculptor and inscriber of flesh.